ARCHERY...It's all about letting go! Safe, friendly, fun for all ages...fully insured. Community events, private parties, birthdays, weddings, stag /hen parties etc...All can be catered for. 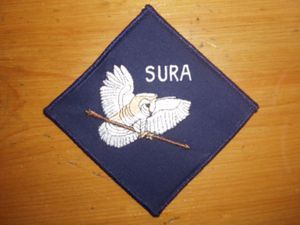 Welcome to Southern Upland Roving Archers (S U R A) Established as a private archery shoot in 2009 to give the novice and experienced archer an opportunity to shoot in a relaxed and informal manner. We are fully insured for all of our activities. We have a policy of learning from each other and support ourselves by working in the community at local events and public shows throughout the Scottish Borders as well as holding regular have-a-go archery sessions. This enables us to operate without having to rely on government or charitable funding! Safe Friendly Family Fun Archery! Please note we are not a business nor do we have charitable status. We are not affiliated or attached to any governing body, therefore do not offer any "Formal training" ! We shoot for fun & the pleasure of doing so. We shoot all types of bows (except compound bows) and other associated weapons. Crossbow is by prior agreed shooting. We supply all necessary equipment until some such time as a new archer owns or makes their own. Whether you are thinking of taking up a new hobby, or are already an archer and would like to get some informal practice in, simply get in touch. Please take some time and have a look around our extensive photo galleries. Sundays 12 pm until finish. (Known shooters, guests, visitors and new archers by prior arrangement). Mid week shooting is now by prior arrangement only. Wedding guest entertainment, Birthday parties, Corporate team building etc. Over 16's - £30 per year. 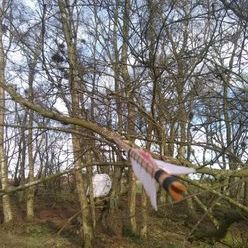 Members of the public and those wishing to try the bow at our standard meet and shoots please contact us by phone or email prior to visiting. Thank you for taking time to visit our website. We look forward to meeting you.